LA LOCHE, Sask. 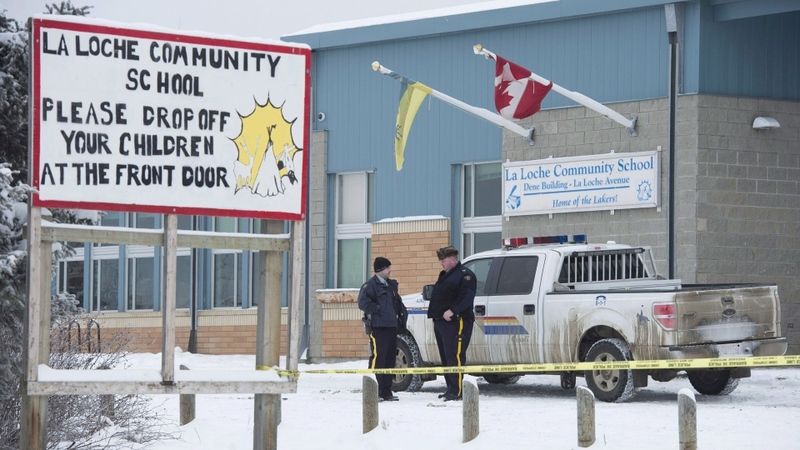 -- Prime Minister Justin Trudeau visited a remote northern Saskatchewan community Wednesday to announce $2.2 million to help people heal from a deadly school shooting. "There were immediate flowings of funds after the tragedy, but in terms of the right investments to build a resilient community ... we needed to make sure we were getting it right," he said. 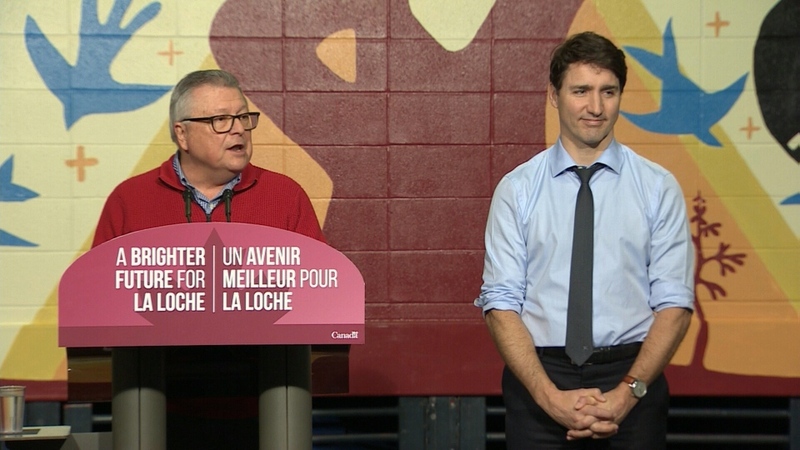 Ralph Goodale and Justin Trudeau in La Loche, Sask., on Jan. 23, 2019.